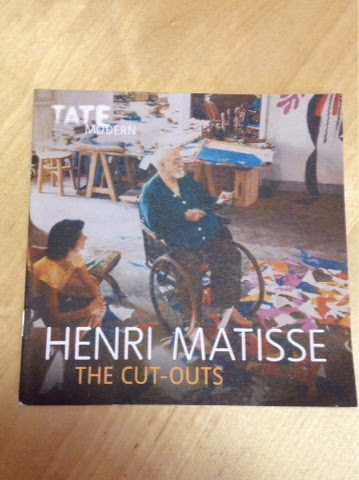 Matisse & Malevich: Geeking out @ Tate Modern - What's Katie Doing? 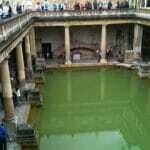 Another thing you can do on a rainy day in London is visit a gallery or museum. 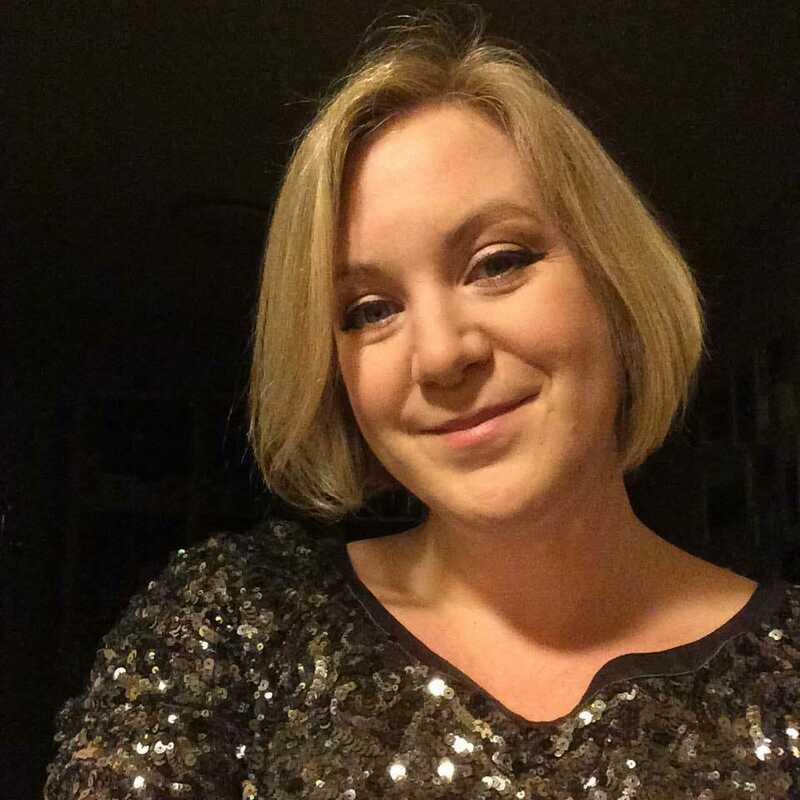 I used to be a regular at the Tate Modern for my love of modern art and the fact that you can just pop in and check out the permanent displays for free. The views over river to St Paul’s the from the 5th floor bar are pretty decent too and a glass of rosé is only £3.20 – only 70p more than an ice tea! Anyway I’ve not been there since being back in the UK, so Becky and decided to have a major geek out and pay (!) 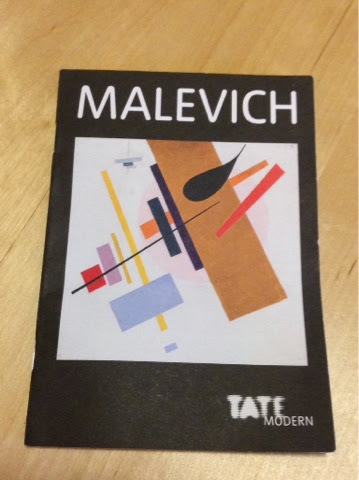 for one of the exhibitions – Malevich. The exhibition was billed as showing an artist at the forefront of one of the most extraordinary avant-garde movements of the 20th century and to be very educational. 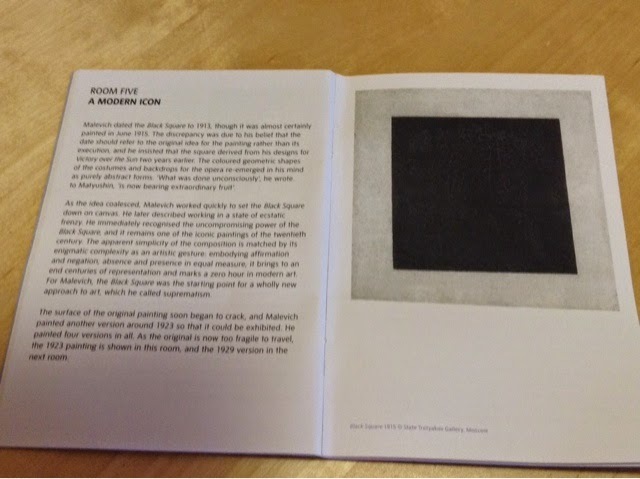 Having not come across Malevich in my art history studies I was intrigued. We saw the Malevich show first. It was immediately evident that the syllabus had been missing something by excluding him. The first room showed his growth from learning and ‘copying’ the style of contemporary painters. Becky and I had fun running around identifying the styles ‘Gauguin’, ‘Matisse’, ‘Cézanne’, ‘Monet’, ‘Picasso’. Malevich had even submitted a painting to the Salon in Paris. The next rooms take you through Malevich less immitating and more innovating a style that could be considered uniquely Russian. So Russian subjects and settings became the focus of his painting. He moved on to using a style influenced by both Cubism and Futurism, so dynamic and fractured, but different from those styles in the content and bold colours. He moved on to creating a futurist opera with a poet Velimir Khlebnikov and musician Mikhail Matyushin, which used a new language zaum, which was words without meaning. Shortly after this war broke out and influenced Malevich to create what marks a zero hour in art – resetting it effectively. This was Black Square dated 1913 (although painted in 1915 – he said the idea came earlier than the execution). This brought representative art to an end and marks the beginning of a new approach to art called suprematism. From here on the exhibition shows markedly different wholly abstract pieces, including architectural models. The paintings are named Dynamic Suprematism/ Supremus or given a series number and don’t relate to anything figurative, even though the human condition is to try to find something familiar! The parallels to Kandinsky (although he was more figurative), Mondrian and even Rothko are extraordinary – especially given that some of this is contemporary work, but it was very unlikely any of Malevich’s work was being seen outside of Russia until his trip to Germany in 1927. Towards the end of Malevich’s career the Soviets decided that they didn’t like abstract art as it was subversive and so his paintings in the 1930’s return to a figurative style, but still with some subversion in how he parodied different styles. Black Square was banned and not exhibited until the 1980’s. Malevich died in 1935. So a very educational exhibition. This exhibition shows you how a tool Matisse used, the Cut out technique used as a means to an end, turns into the art its self. Earlier on in his career the collage technique was used to work out the arrangement of objects in the paintings. Making cut out paper shapes and pinning them to a canvas replaced making several sketches from different points of view, meaning he could rearrange the elements more easily. As he grew older Henri Matisse was less able to get up and paint, and so the technique gave him a means to continue creating. Matisse would cut out the shapes in the paper, prepared by his assistants in the colour palate he had requested. His assistants would then pin the shapes to the wall in his studio (and even home!) under his supervision. So this way he was able to continue to creat works on a vast scale. He designed stained glass windows, whole room decoration and a few of his more famous large scale works, such as The Snail, using this method. It’s really worth seeing the exhibition as the scale is amazing and the recreation of some of the walls is well done. Totally worth the ticket price!